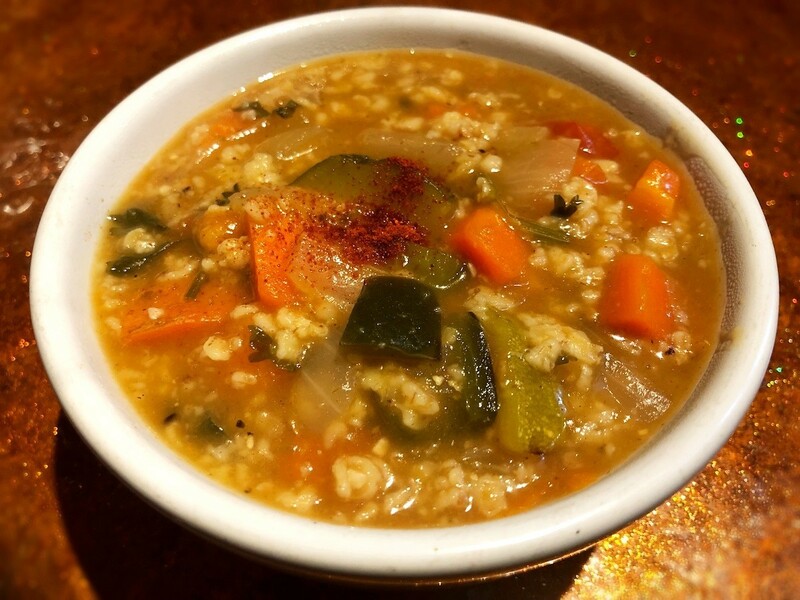 The nutty, wholesome flavor of toasted oats is a great addition to your veggie soup. 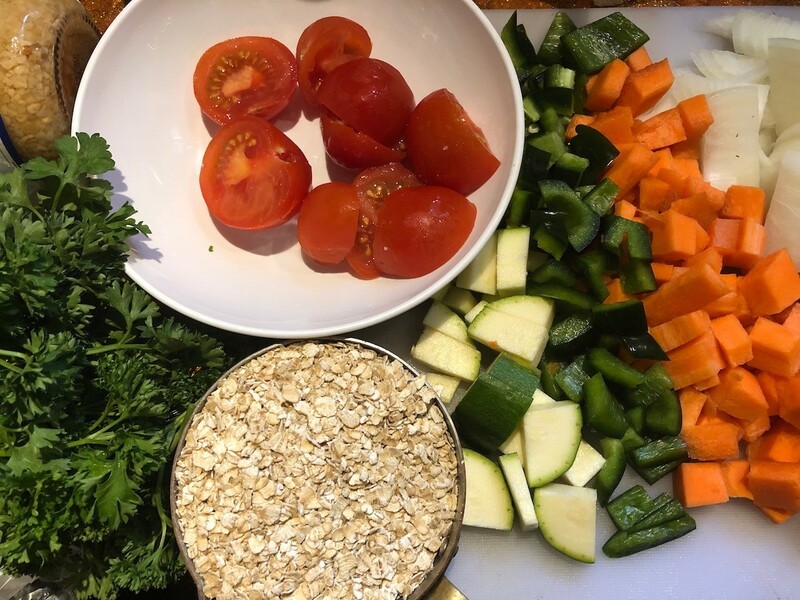 This is a guide about making toasted oat and vegetable soup. This is a great way to bring out the nutty flavours of oatmeal before thickening up your vegetable soup. This soup was so incredibly delicious, ready pretty quickly, and cost just a few bucks to feed 6 of us. 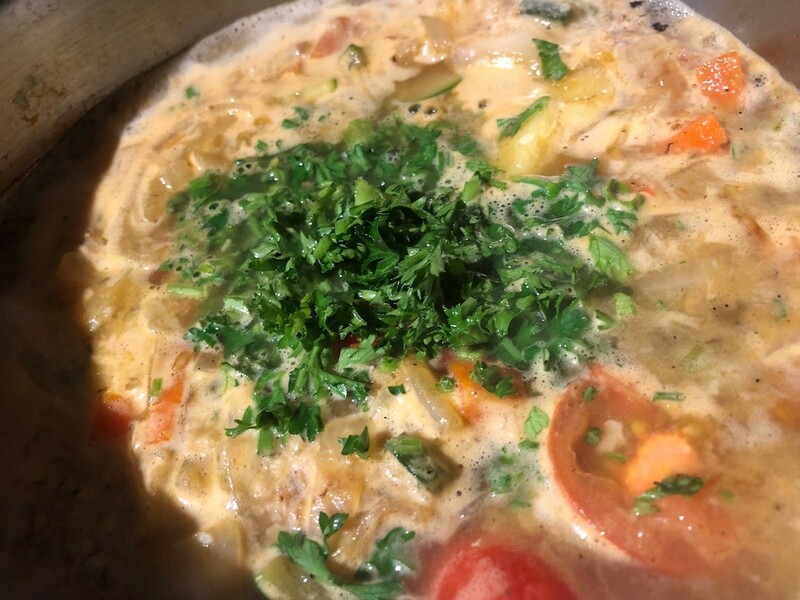 You can use chicken, beef, or vegetable stock with this. 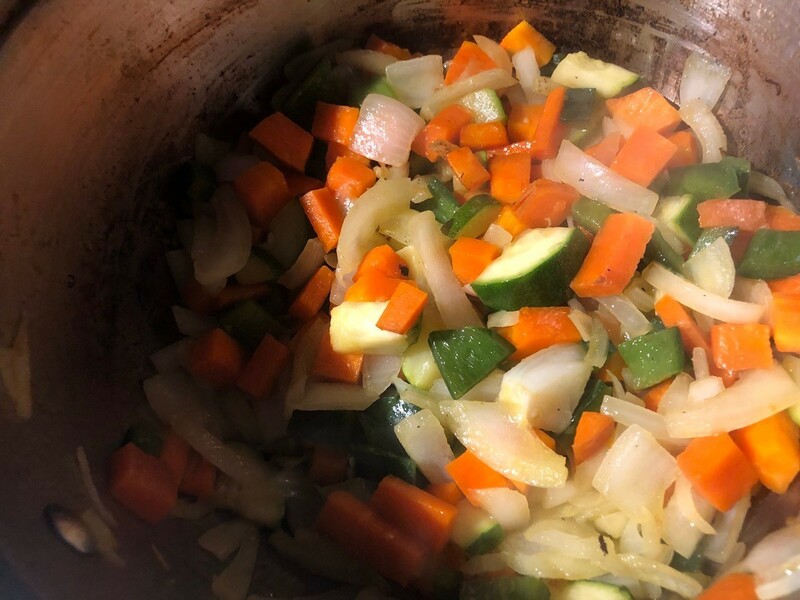 Heat a teaspoon of oil in a pot over medium-high heat and add the onions, carrots, peppers, and zucchini. Cook for about 10 minutes, stirring frequently, until some of the edges are a bit browned. 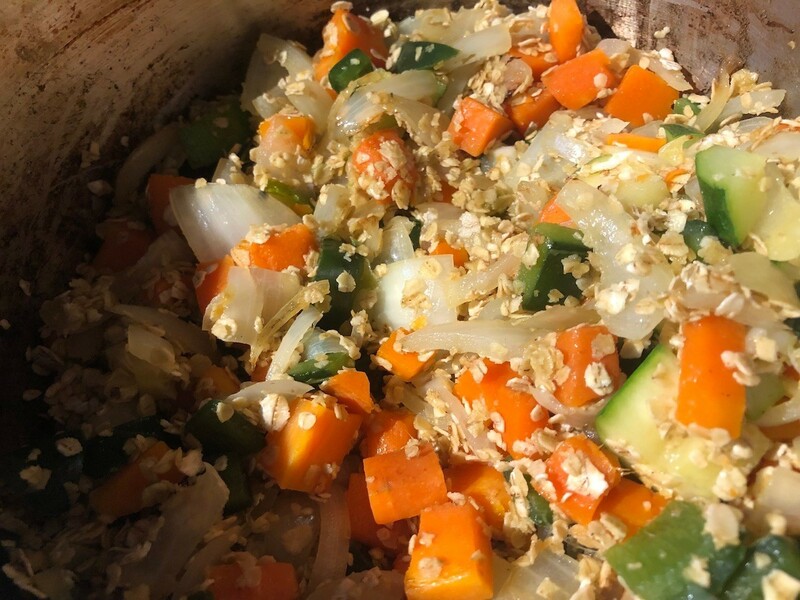 Make a well in the middle of the veggies and add another teaspoon of oil. Pour in the oatmeal and stir to toast. Mix everything together and cook for just a minute. You don't want the oats to stick to the pot, but it's okay if some do as the liquids will come in handy. 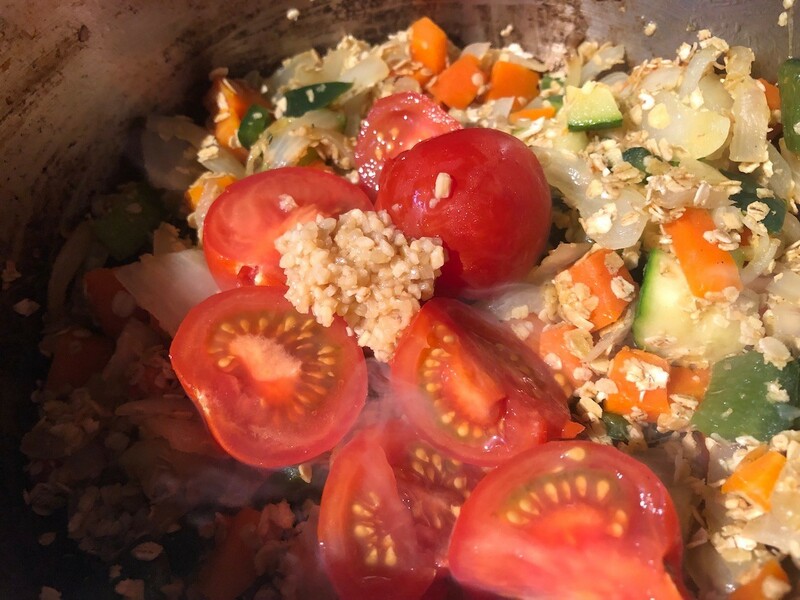 Add the tomatoes and garlic and stir well. Pour in the broth, the water, vinegar, and chopped parsley. Stir and bring to a boil. 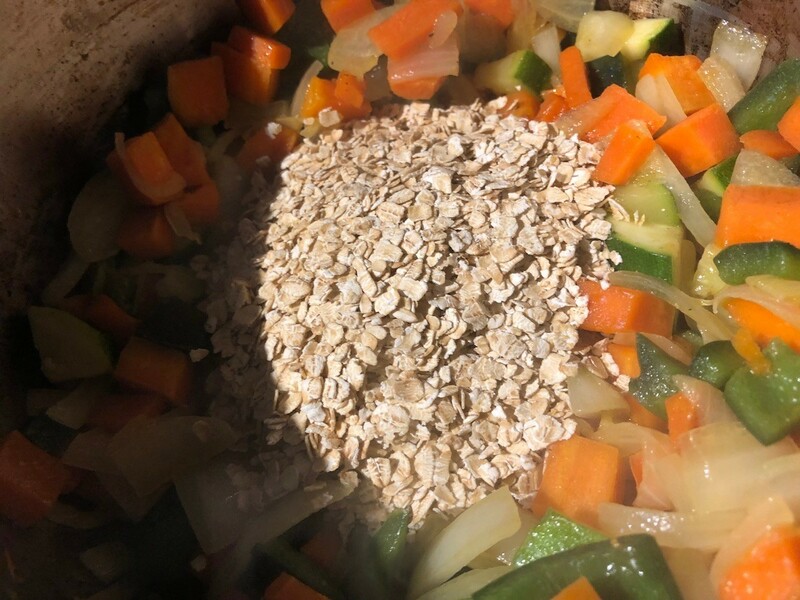 Lower heat to simmer, cover and cook for about 15 minutes, stirring often so oatmeal doesn't settle on the bottom. Add salt and pepper to taste. Serve with lemon wedges.